The Lakers did it with Kareem Abdul-Jabbar, Magic and then Shaq. The Boston Celtics did it with Bill Russell. The 49ers did it with Joe Montana. The Yankees did it with Derek Jeter. The Duke Blue Devils did it with Laettner and Hill. The Detroit Redwings did it with Steve Yzerman. Normally I don’t enjoy these back to back championship people. I’m all about spreading the wealth. However today … today I was celebrating a huge victory in The Guat Household — a back to back champion, and no I’m not referring to my high school days where my yearbook claims my baller skills lead my team to victory. Yeah I was a baller back then, but I was also skinnier and more sprightly. No. This back to back champion stands at 42 inches tall and weighing in at 34 pounds. He is my Abdul-Jabbar, my Russell, my Montana, my Jeter, my Laettner, my Yzerman. He is my son … The Little Guat. Reigning Tiny Tots Back to Back Golf Champion. 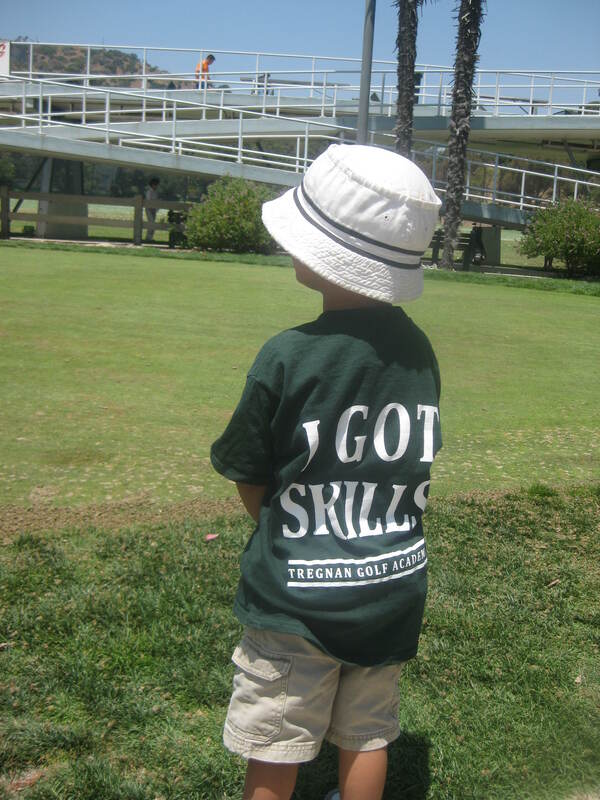 Winner of the elusive green I-Got-Skills shirt. The summer season was a little different. A different coach, a different group, a different feel. Not too many words of the week, but plenty of lessons in character and funny moments. This season the class was a little crowded with plenty of energetic future US Open Winners. However I’ll have to admit that there were two crazy parents that would fit right in with the beauty pageant parent circuit. Needless to say that when the coach decided to divide the class into two groups so that the championship challenge rounds and classes would go faster and be more one-on-one, we volunteered immediately for the earlier session, as did a few others. Smart people think alike. 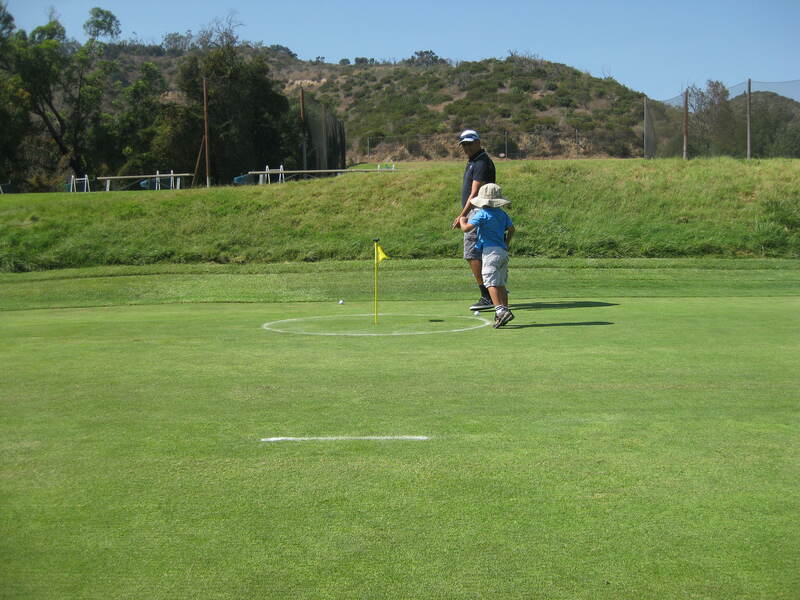 We began the golf challenges by playing the first hole, where my son whacked the crap out of the grass and the ball to land on the green. This would have been pretty impressive by itself, but considering the obstacle it was amazing. For a little extra challenge, the sprinklers began popping up and watering various parts of the grass. My son’s golf ball decided to rip passed the water in front of him and find itself on the green. He did a victory run through the sprinklers as did the other kids, because apparently that’s how four-year old golfers roll. I did my little woo-hoo, skipped the sprinklers, and smiled as we headed to the second hole for the chipping challenge. My son focused as any four-year old could be with championship M&Ms awaiting all golfers at the end. 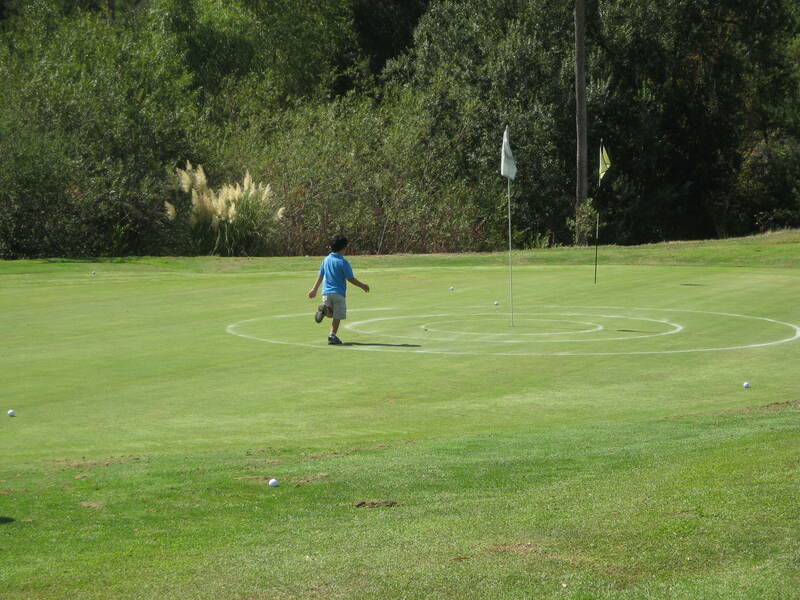 My son running after his golf balls, one of which landed in the inner circle. This time around the chipping challenge wasn’t his WOW moment as it had been during the spring season. But he managed to swing away, slinging mud and grass everywhere, and land within putting distance. Then came the dreaded putting challenge. The most mental part of the game, where you really need your kid to focus, however he remained completely interested in the rollie-pollies hanging around the course. But despite his rollie-pollie enthusiasm, this happened to be the WOW moment the earned him the green shirt. My son jumping with excitement as he birdied the hole. He had two opportunities to rack up points here . 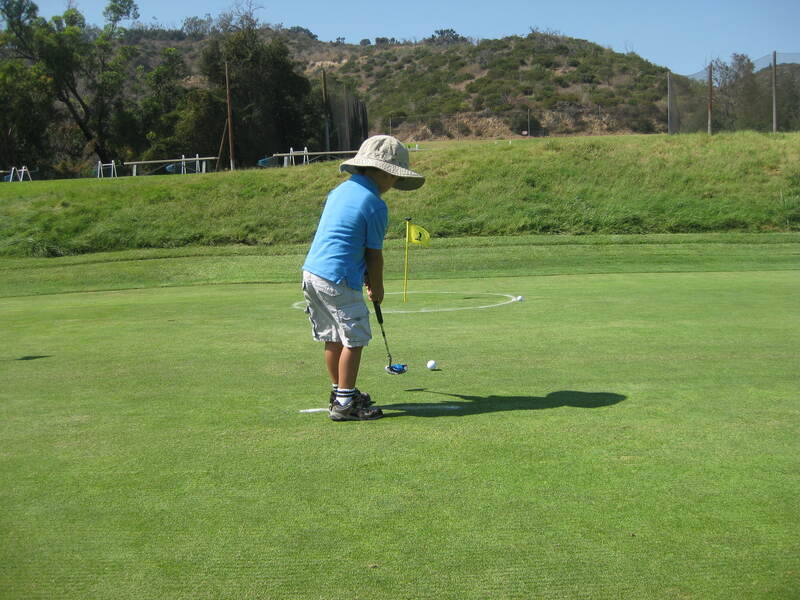 Usually it takes three to four strokes for my little man to put the ball in the hole. The average for the class is four. My son happened to do it in two. Two! And not once, but twice. Twice! So I knew it wasn’t a fluke. Each kid had three balls and they needed to play two out of three. One landed in the circle, about a foot away from the hole, the other two landed on the outer rim of the circle. He was asked to play the outer rim balls and he scored. Two strokes, two birdies, two woo-hoos from mom, and two smiles in The Guat family. High-fives all around, no sprinklers. 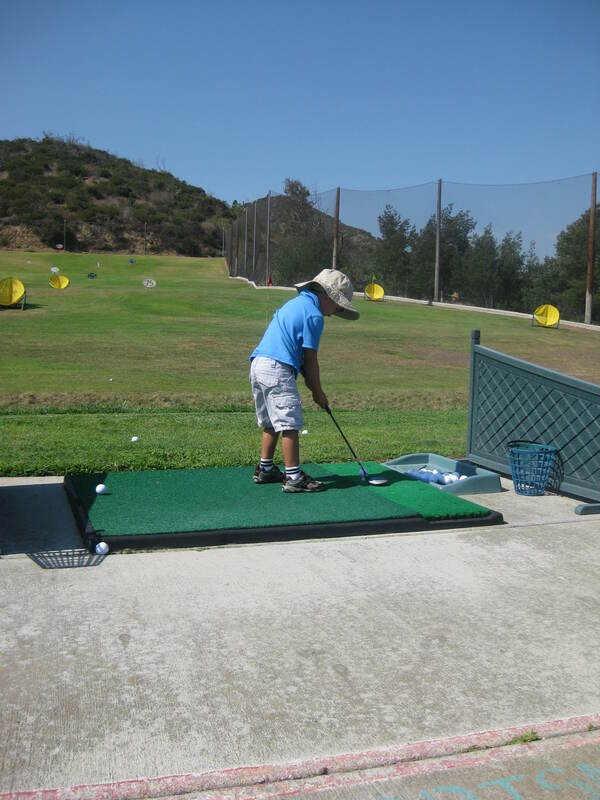 Last but not least was the driving range challenge, where all he had to do was get it over the little gorge. He was up last and despite the other kids spinning around in circles, pretending to be superheroes, he managed to swing away and reach the other side. After tallying the points my little Guat ended up in first. In truth I was a little surprised that he won again. That’s a pretty crappy thing to say as a mom. But kids are unpredictable and I wasn’t sure he would do the back to back thing. 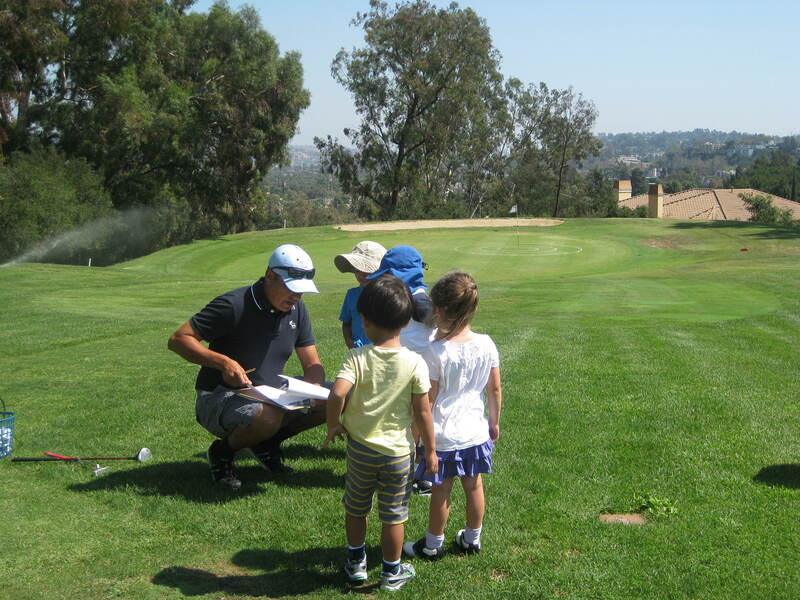 Golf is not easy, especially when rollie-pollies and superheroes are involved. 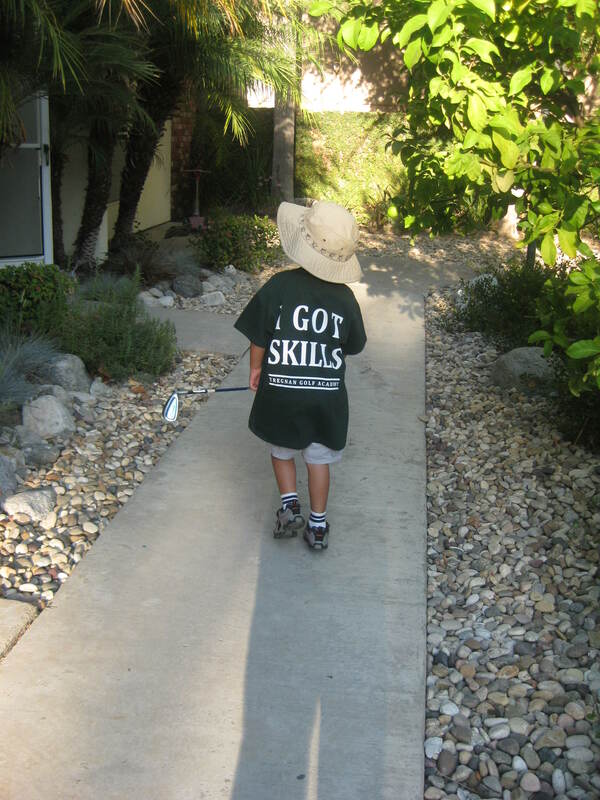 But my little dude earned the coveted green shirt — The green I Got Skills Shirt for the second time in a row, and I hugged him proudly. But seeing how he was a back-to-back champion, I thought he needed more than just M&Ms. 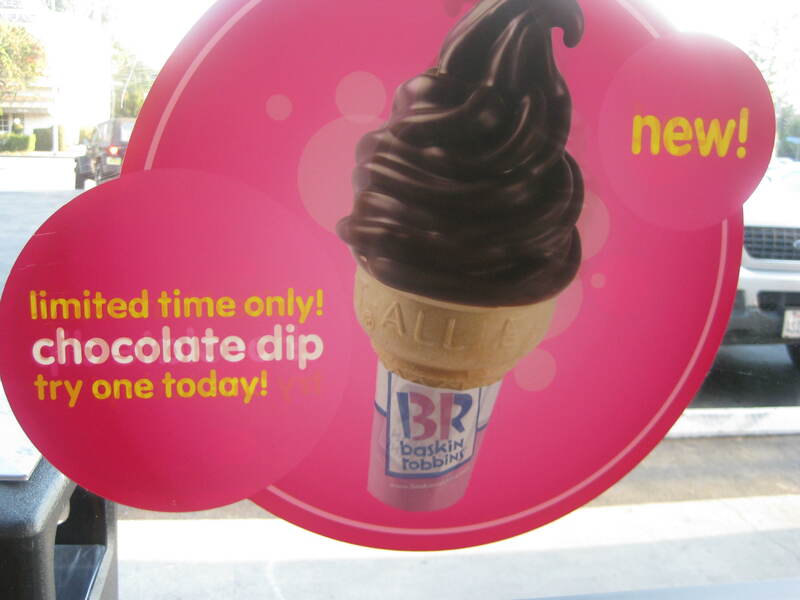 His championship reward at Baskin-Robbins a.k.a 31 Flavors. 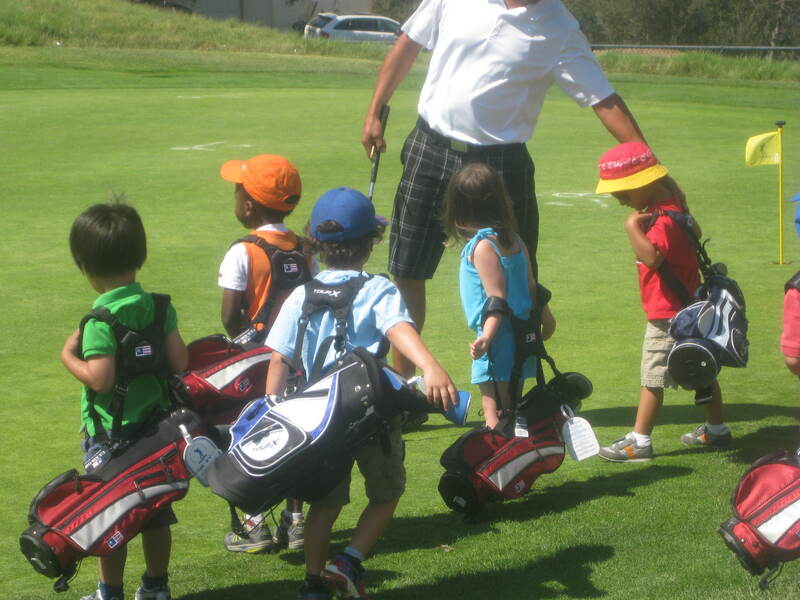 Oh my goodness, how cute is your son and all of the little golfers. That’s so cool. Congrats!!!!! Woo-Hoo Thanks. They did look pretty greeting card cute. I’m glad I caught that shot and the one of his mini jump. Definitely a good day! As a Yankees fan, it’s pretty ho hum when we ‘only’ go back to back. But what isn’t ho hum is backing your favorite left coast blogger, and I did so by nominating you as One Lovely Blogger. Hey, if the Dodgers and Yanks make it to the Series? We might have to wager up. Just saying . . . Thanks so much for the nomination. Love it! And yes if the Dodgers ever make it to the series I’ll go to the game and take a picture of myself next to the winning score board, Dodgers of course. So if you ever run into to me you’ll know who the anonymous Guat really is. Yes I would, And you would learn that Cayman Thorn’s alter ego is really quite mild mannered and agreeable. Go Yanks and Dodgers. The Little Guat rocks! I feel vicarious pride over his accomplishment. 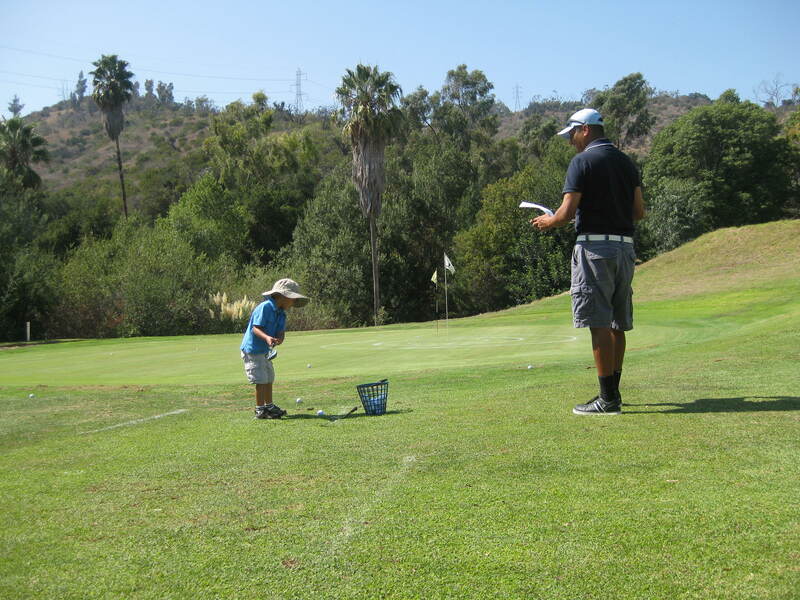 He’s only four and to have won the green tee shirt, not once, but twice? Wow, he really is the (little) dude. Yeah, he earned that ice cream cone, but you are the dude-ette for being such a dedicated cheering section. Twice … I know what are the chances? Yup he is THE little MAN! And he was definitely into his ice cream cone. It was a good day.